The Ministry of Transport and Civil Aviation has today launched a train compartment service designated for women. The Women Only compartments launched from today to is in line with the World Women's Day. And has been implemented as a measure to prevent the sexual harassment and hardship endured by women using public transport. The Ministry said, as the first stage Women Only compartments will be included in office trains and will be expanded to other trains as well in the future. 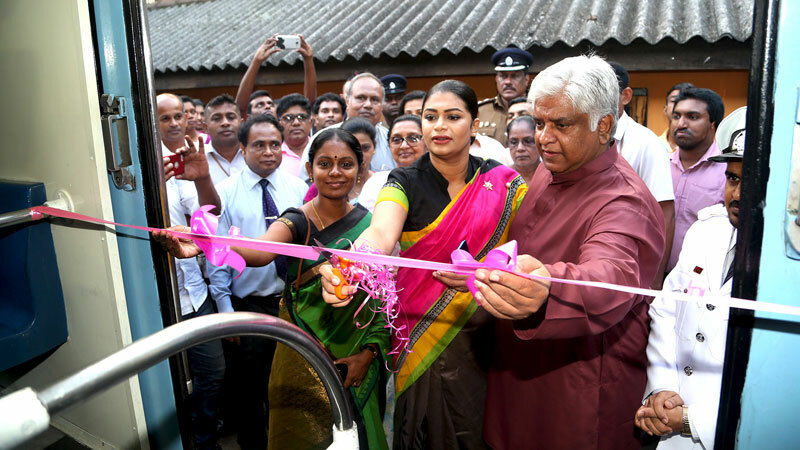 First ever local women-only compartments were launched in several Colombo-bound trains departing from Mirigama at 6.30 a.m., Rambukkana at 5.57 a.m., Maho at 4.45 a.m., as well as in Mount Lavinia-bound train leaving from Puttalam at 4.30 a.m., Samudra Devi train and another train departing from Matara at 5.00 a.m. this morning. I see the good motives behind this move, however, I don't think that this is the right solution to the problem that this country has with harassing its women. A problem should always be addressed by its roots. Treating symptoms is not solving the actual problem. Creating women only compartments in trains is treating symptoms. Instead, initiatives should be taken to teach Sri Lanka's male population to respect women and treat them equally so the women in this country can live a peaceful life without constantly having to be afraid of being harassed!